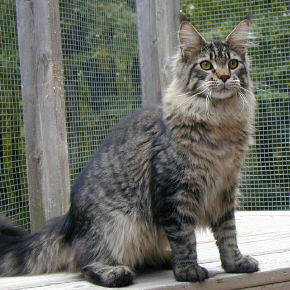 Degacoon James Dean is a beautiful brown mackerel tabby boy. 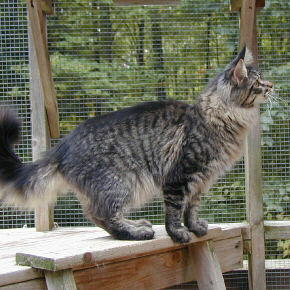 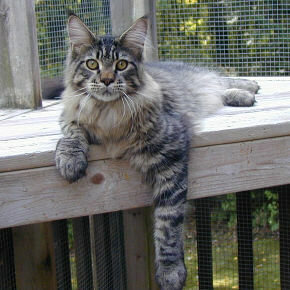 JD has excellent type, long shaggy coat, tall ears and lynx tips, large boning, and a great loveable personality. 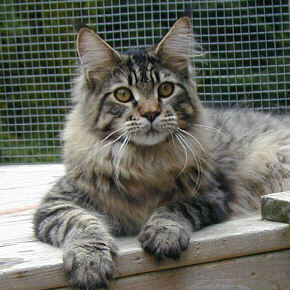 We would like to thank our good friends Dean and Gail of Degacoons Cattery for giving us this wonderful boy.